F.O.L.D. 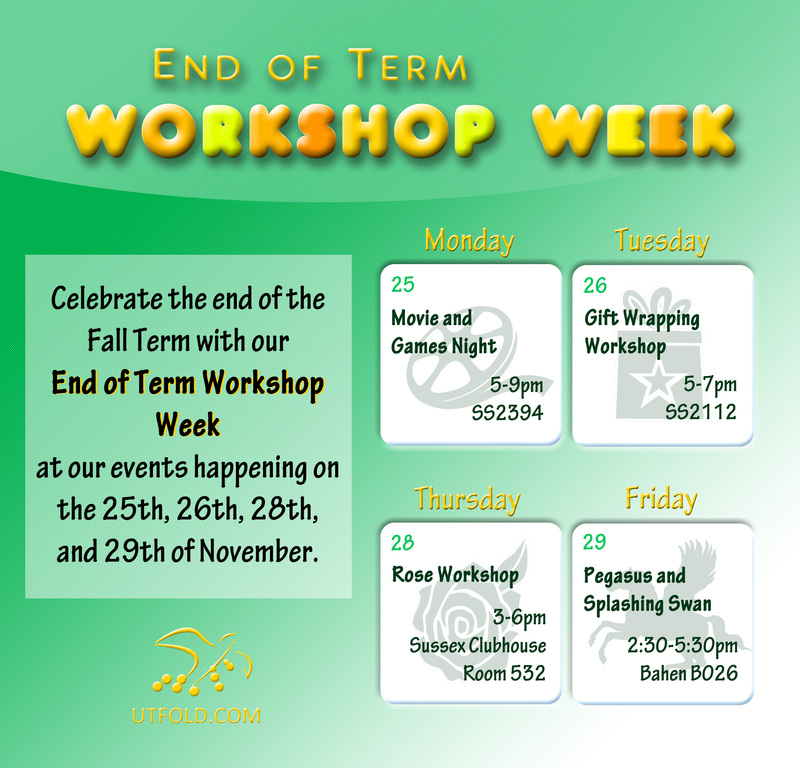 will be having a special and fun social event on the last week of November! We will be hosting our Movie Night/Games Night on Monday November 25th from 5p.m – 9p.m at MSB 2394 to celebrate the end of Fall Term right before the beginning of exam period! There will be a simple modular workshop, movie marathon, and board games all going on at the same time as well as FREE FOOD FOR EVERYONE! So, bring yourself, your friends, and your friends’ friends because there is something for everyone! See you all there!